Yes! I'd like to volunteer. Over 40 volunteers are need Friday-Sunday, June 12-14. Volunteers get free admission to convention during their time slot (meals are not included). Please sign up for your preferred slot and you will be contacted to confirm the time, date and location. If you would like to sign up for more than one slot, please complete a new form for each time slot. If you sign up and can no longer volunteer, please email Mary Davis at jomarand5@yahoo.com immediately. We ask for your patience and flexibility as slots may fill up in your preferred time frame. We will do our best to ensure you can volunteer! Over 40 volunteers are need Friday-Sunday, June 12-14. 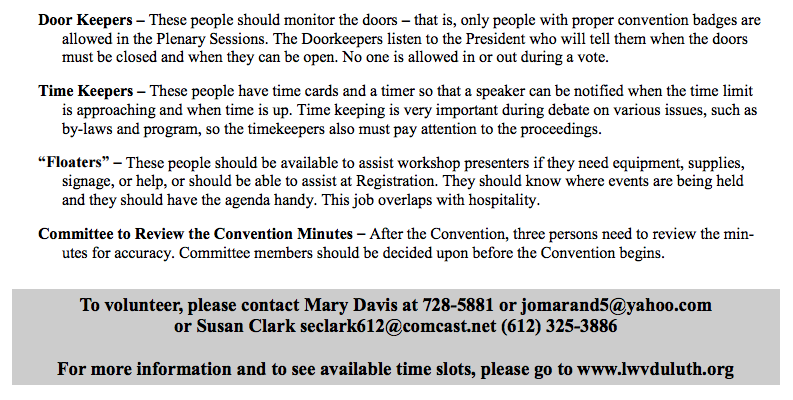 Volunteers get free admission to convention during their time slot. Please sign up for your preferred slot and you will be contacted to confirm the time, date and location. If you would like to sign up for more than one slot, please complete a new form for each time slot. If you sign up and can no longer volunteer, please email Mary Davis at jomarand5@yahoo.com immediately. We ask for your patience and flexibility as slots may fill up in your preferred time frame. 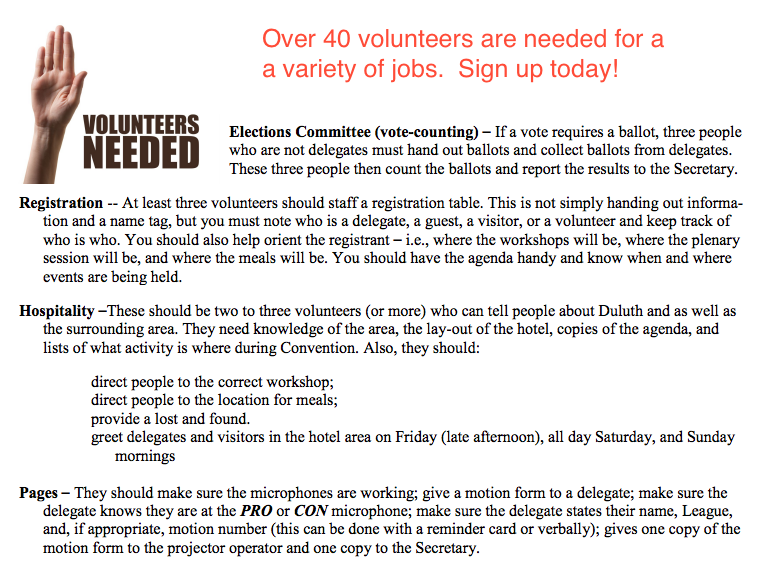 We will do our best to ensure you can volunteer!